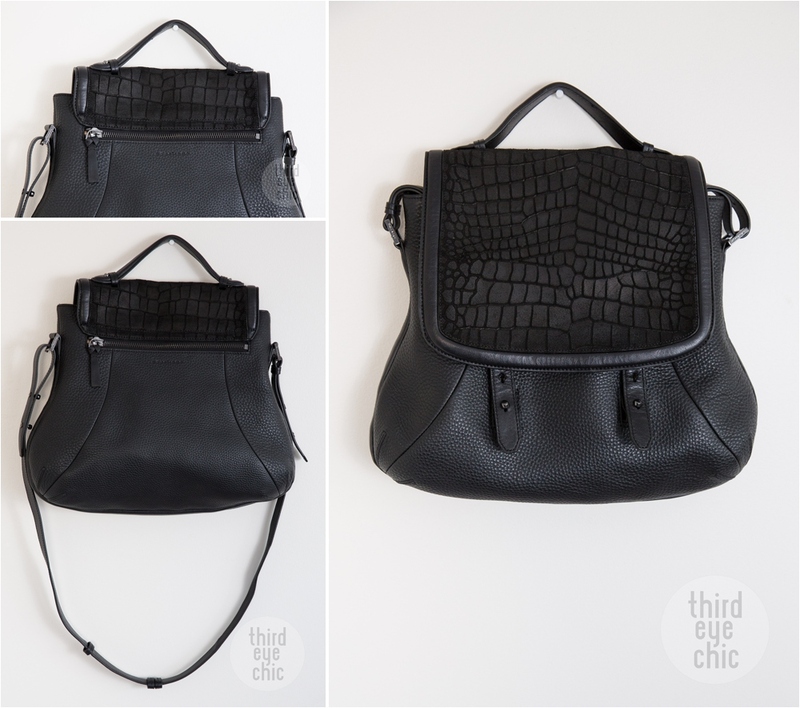 We all need an excellent go-to black bag in our lives. I had been looking for one until I came across this back in December. I have been cooked up inside pretty much all winter, living and working at home so I haven't had a chance to use this yet, which is sad because now I am dreaming of all the colorful crossbody bags I would like this spring. But that's the whole point of having a good black bag. It's always in and can be worn year round. I love this bag, and trust me, it looks even better in person. The textures, the details, and especially the shape. It's not too small, and not too large. Just big enough to carry all your snazzy essentials. This tote is so chic! I feel like I always see people posting stuff from Club Monaco but the store itself always intimidates me for some reason. I found your blog via the Boston Bloggers group and then I made my way over to your photography site. I love the shots you've taken and your style. I'm a hobbyist and I love finding inspiration in professional photographers' portfolios.